Gone are the days when one has to worry about Passport & Visa when thought of going abroad for a vacation. With Dziner Travel Concepts based in Pune (Maharashtra), there is nothing to worry about. 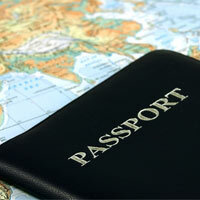 Our tour and travel company hold vast expertise in making all the arrangements for Passport & Visa. Our team of experts is committed to make available the best Passport & Visa Services that is exactly as per clientsâ�� requirements. Our offered Passport & Visa Services are known for promptness and reliability.